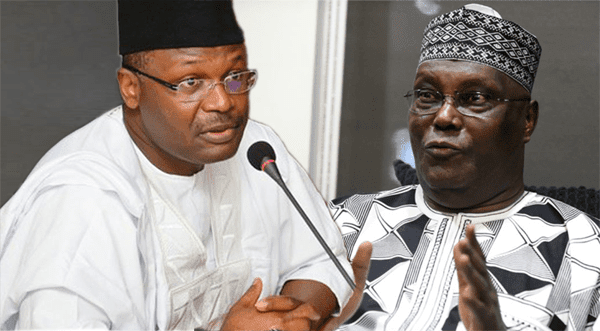 By Dirisu Yakubu & Omeiza Ajayi ABUJA—National Working Committee, NWC, of the Peoples Democratic Party, PDP, yesterday, said no amount of fabrications, attempt at set-up, veiled and open threats by the All Progressives Congress, APC-led Federal Government would stop its Presidential candidate in the 2019 election, Atiku Abubakar from reclaiming his mandate at the tribunal. The party rejected in its entirety, “the declaration by the Presidency that Atiku Abubakar is “lucky to be walking free,” adding that such a statement was inciting and “brings to the fore the unwholesome intention of the APC-led administration against Atiku Abubakar for seeking to retrieve his stolen mandate at the court.” This came as the Independent National Electoral Commission, INEC, said it had filed its response to Atiku’s petition and others. Yesterday was the deadline for the INEC and APC to file their responses. It was not clear, at press time, if the APC had complied as National Publicity Secretary of the party, Malam Lanre Issa-Onilu did not pick his calls. “For other petitions like those of the HDP, PDM and others, we filed our responses last week. As for the Atiki/PDP petition, we filed our response yesterday (Wednesday),” said Mr. Festus Okoye, INEC National Commissioner and Chairman, Information and Voter Education Committee of the Commission. Meanwhile, PDP in a statement by its spokesman, Kola Ologbondiyan, said it was aware “that the series of orchestrations against Atiku Abubakar and the PDP by agents of the Federal Government, officials of the Presidency and the Buhari Media Organisation, BMO, expose a well-coordinated plot, which includes a resort to unfounded claims of links with a foreign lobby group, to attempt to frame Atiku Abubakar, cause tension and ultimately derail the recovery of the stolen mandate at the Presidential election tribunal. “Such orchestrations are also targeted at instilling fear, cause apprehension in the citizenry and create opening to further suppress genuine public opinion and the course of justice in the quest by Atiku Abubakar and the PDP to restore the will of the people. “Part of the motive is to use lies, fabrications, threats and sponsoring of Atiku campaign posters to portray Atiku Abubakar and the PDP as being desperate and ready to subvert the rules in the pursuit of our mandate; and by so doing discredit our candidate in the eyes of the judiciary and the public in general. “This explains why agents of the APC-led government fabricated and pushed into the public space, bogus and laughable claims that Atiku Abubakar paid $30,000 to a US lobby group to assist in the quest to reclaim our mandate only for the Federal Government and the Presidency to turn around to feast on the fabrications with threats against Atiku Abubakar.